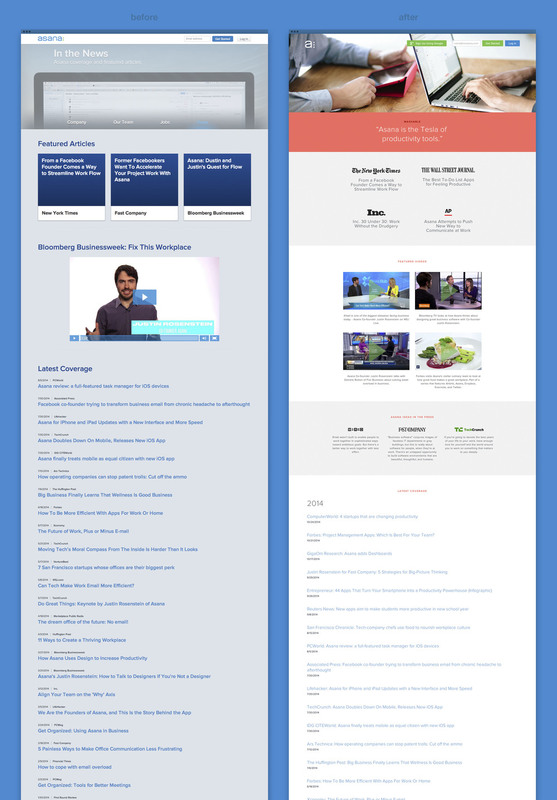 Asana.com Refresh — Casey Martin Design, Inc. 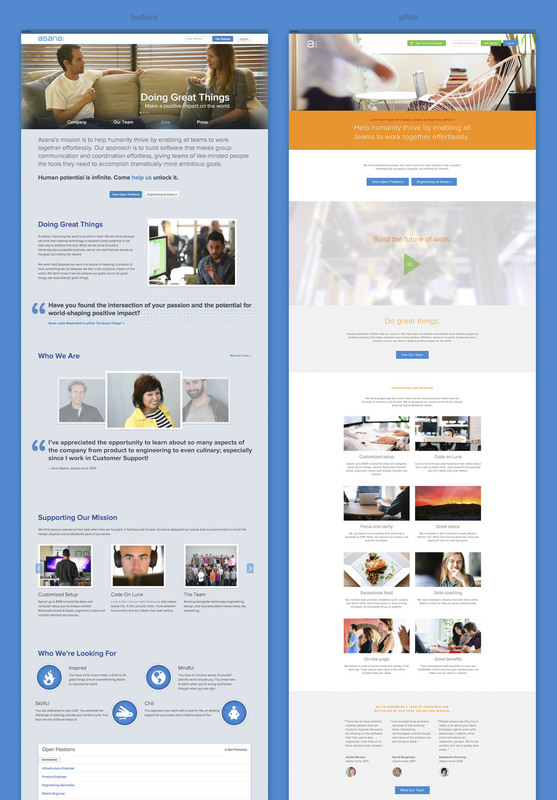 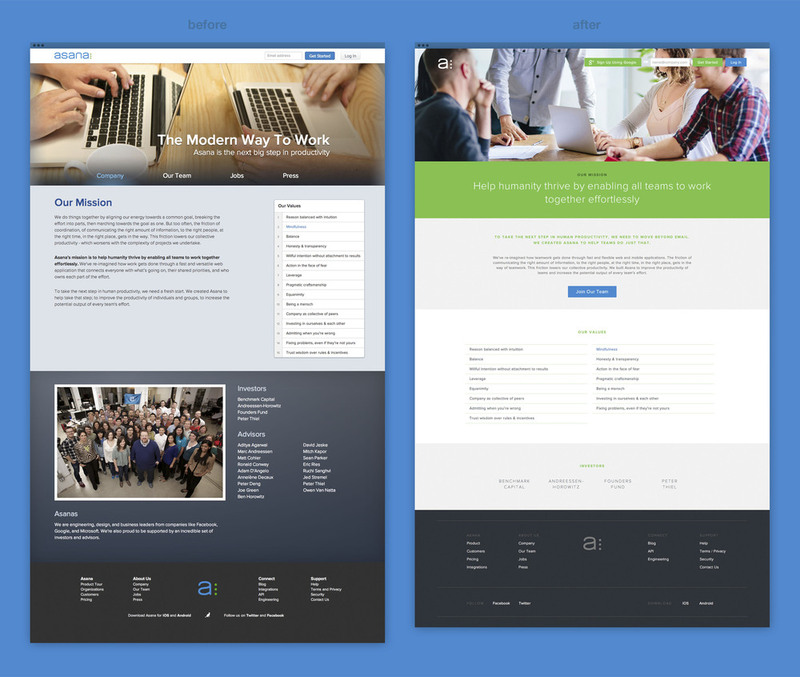 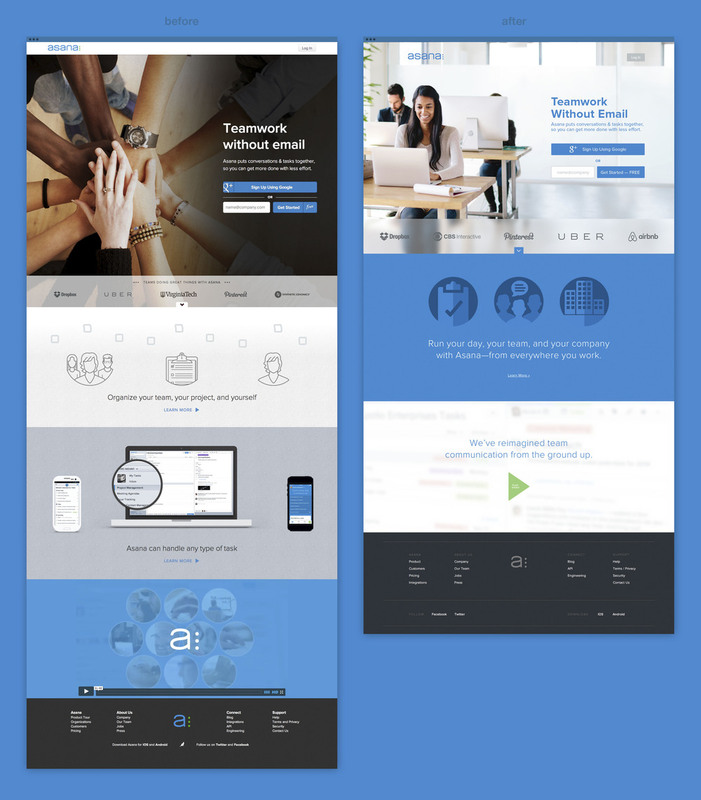 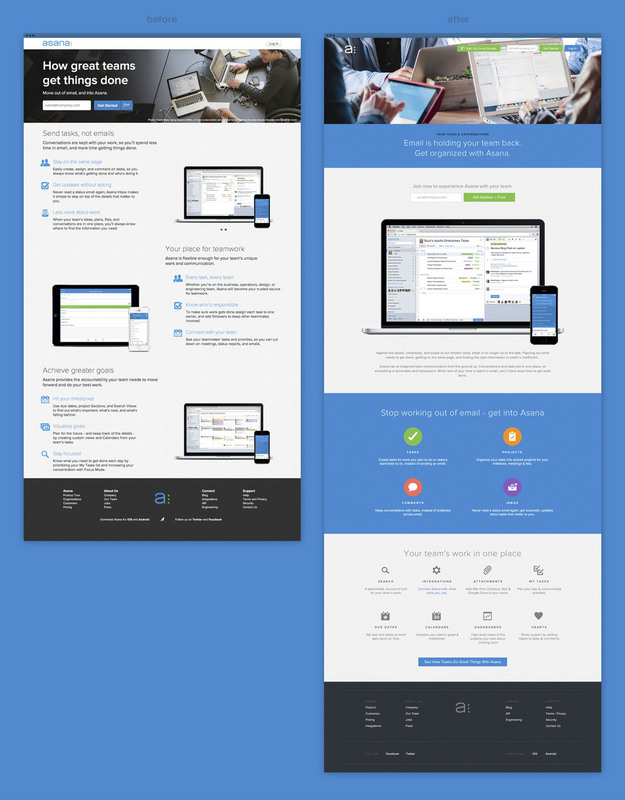 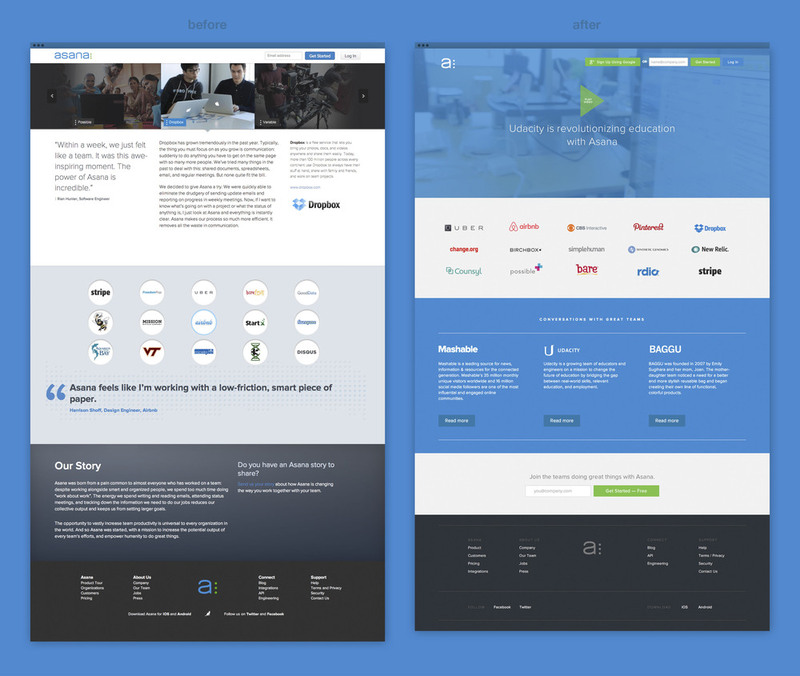 The Asana.com refresh project was just that—a facelift of their current web property. 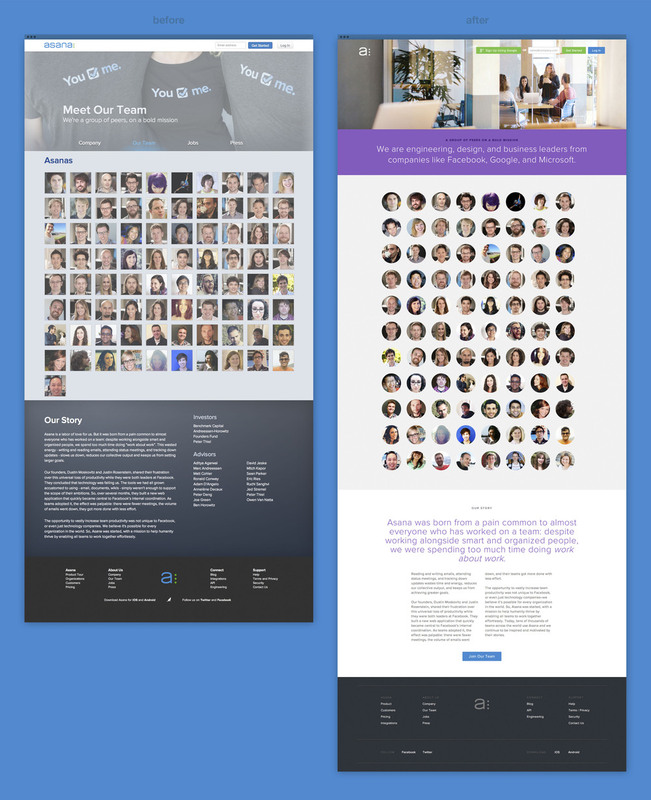 We wanted to strip down the site of all shadowy-texutre-gradeint things, give the photography a more polished and crafted feel, create a site-wide typographic heirachy, and present a cleaner, less cluttered layout.